Screw cutting in the Lathe by Martin Cleeve workshop practice series No.3 pdf download. Latest lathe machine can cut any type of thread external or internal any form, pitch or diameter. This book rectifies much about that. 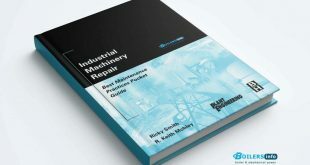 It contains Calculations of screw cutting worm thread gearing, basic sizes, and thread gauging methods and indexing. English leadscrew with practical examples are also described in details. Types of threads Acme thread checking Helix angle of screw threads their formulas methods of cutting various types of threads are available in this manual.